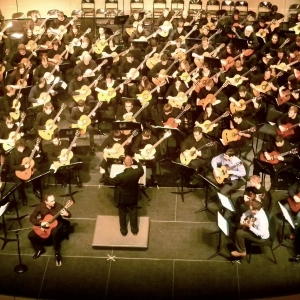 EKU Guitar Majors perform with the LAGQ! The EKU Guitar Ensemble performed with the Los Angeles Guitar Quartet during the finale concert at the recent Mid-America Guitar Ensemble Festival. The advanced quartet was selected to perform for William Kanengiser in his masterclass.